Nintendo has just revealed the current leaders in the Fire Emblem Heroes: Choose Your Legends Event. Following yesterday’s news that Lyn, Ike and Lucina are currently leading the way, the latest Fire Emblem Heroes standings update shows the top 20 male and female vote receivers. The race is very interesting! It seems a lot of Fire Emblem fans have not forgotten about heroes from the Game Boy Advance and Gamecube era. Lyn continues to set the pace for the females, with Lucina right on her tail. The dark-mage Tharja, another exceptionally popular character from Fire Emblem: Awakening, currently sits in third. Meanwhile, Ike is dominating the men’s bracket. 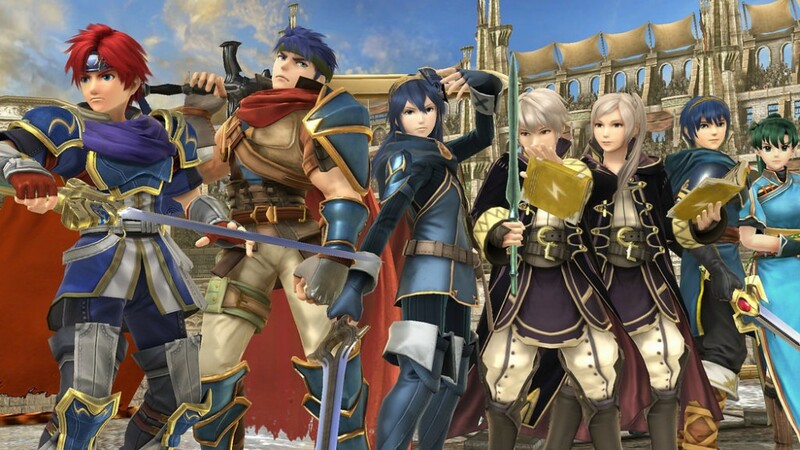 It’s unclear whether Nintendo will combine the votes for heroes located in two games (Ike and Marth both appear twice on the list) when making their final decision, but The Hero of Blue Flames doesn’t seem to need the help. Perhaps due to his inclusion in Super Smash Brothers, our boy Roy stands in second currently. Hector, the axe-wielding hero from Fire Emblem, rounds out the top 3. As it stands right now, it seems most Fire Emblem fans are flocking to their favorite Lords. Out of the Top 10 choices for each gender, only three characters aren’t considered a main character in their game. Tharja, Donnel and Cordelia, all from Awakening, are head and shoulders above the rest of the supporting cast. Lords, both new and old, haven’t lost the love of Fire Emblem fans. Once you venture further down the list, there are a few shockers. Manaketes Nowi and Tiki are on just outside the top 10 on the female side. The male side, meanwhile, has lord Corrin being outpaced by the gentle axeman Dorcas. Male Corrin currently sits at 19th, while female Corrin stands at number 5. Notably absent from the top 20 are both Alm and Celica. Those two lords will be starring in the upcoming 3DS title Fire Emblem Echoes: Shadow of Valentia. Don’t be dismayed if your character isn’t on the list! There’s still plenty of time to vote and change their fate! Voting closes on January 31st. The most popular male and female will receive a special “Choose Your Legend” event costume in Fire Emblem Heroes, available on iOS and Android devices on February 2nd. But that’s not all! The top 10 characters will also be featured on custom wallpapers for your phone or computer. So get out there and vote! We must ensure that Jill Fizzart from Radiant Dawn/Path of Radiance gets the justice she deserves!